This gem of a thatched cottage is over 250 years old. Fools Haven is available as a holiday let or vacation rental. 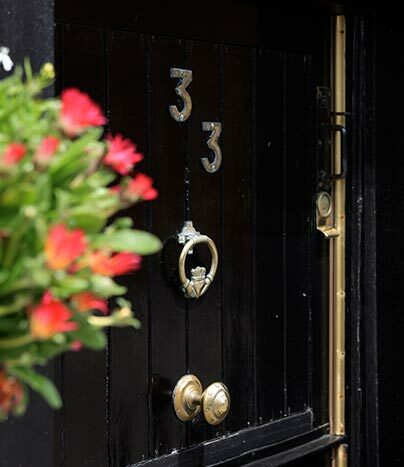 The Cottage is situated at the start of the world famous Causeway Coast and Glens Route, opposite the Andrew Jackson cottage on the shores of Belfast Lough. Arrival by either air or sea, to one of the many airports or ferry ports in Northern Ireland, brings you within 30 minutes easy drive to Carrickfergus. Fool’s Haven Thatched Cottage is one and a half miles (2.5km) from the historic Carrickfergus Castle, town centre, restaurants and leisure facilities. For your convenience access to the train, bus, post office and local convenience stores are less than one mile away (1.5km). At Fools Haven we are proud of our Historic Blue Plaque and our Titanic Connection. 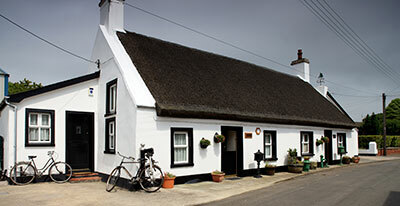 Our traditional thatched cottage is available for rent 365 days of the year subject to availability. 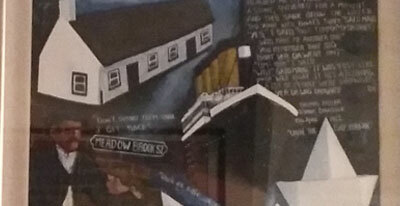 Learn more about the historical connection between the Fools Haven Cottage and the Titanic. Sign up today to get the latest news and promotions. Our newsletter & promotions emails are only ever sent once a month. They include our latest offers, deals and promotions. The newsletter also contains information relating to local events, which may be of interest to you. You can unsubscribe at any point should you no longer wish to receive our alerts.